In 1903, inspired by leaders of various groups (such as John Alexander Dowey) who had established utopian-like communities, Macfadden wrote in Physical Culture magazine that he wanted to set up a community where "physical culturists could live the kind of life they could not find out in the rest of the world" - where a natural foods diet and outdoor exercise were the norm - a community where there were "no sickly prudes, no saloons, drug stores, tobacco shops or places in which one may purchase things that make for the moral undoing of man or woman!" Macfadden's publishing business was booming. With the money he was making he was able to purchase in 1905 nearly 2000 acres of undeveloped land in Spotswood, New Jersey. (near Helmetta and also called Outcalt.) The location was ideal - about 40 miles from New York City and 50 miles from Philadelphia. 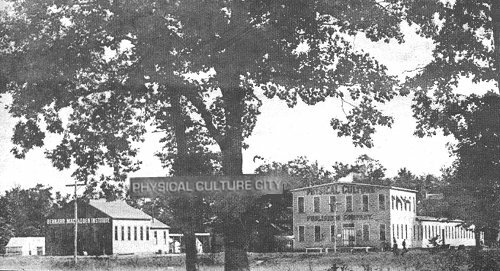 200 hardy and dedicated physical culturists joined Macfadden and began clearing land, laying out streets, and erecting buildings. 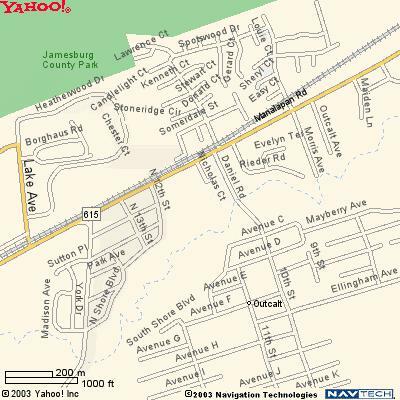 Macfadden planned to move all his enterprises including publishing, teaching, and sanitariums to this location. 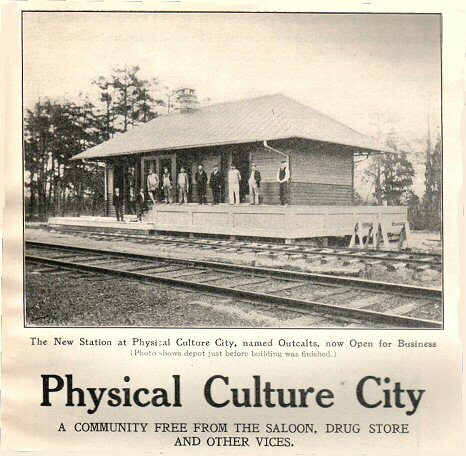 He named the community "Physical Culture City." 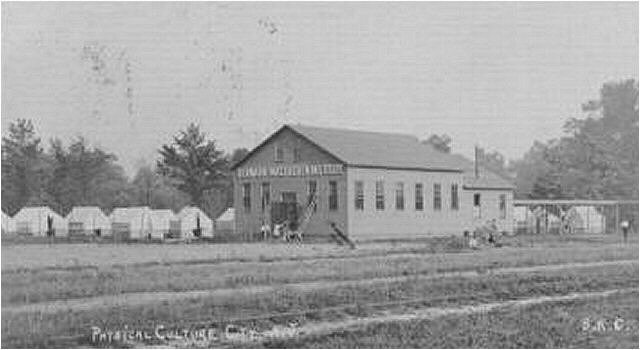 A new railroad station was built to accommodate the shipments that would come into and go out of the community. 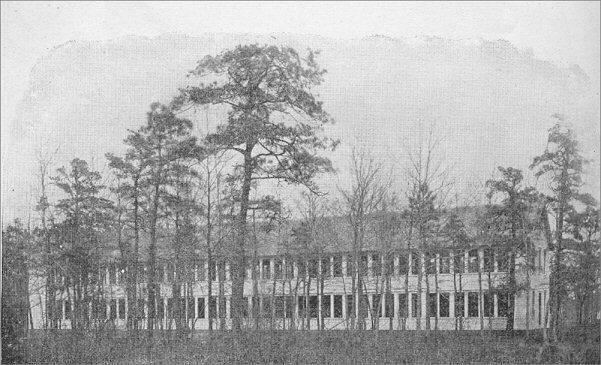 This photo shows the Macfadden Institute building on the left and the publishing facility on the right. The Institute building with tents in the background. In the beginning, most of the citizens had to live in tents. The staff of the Bernarr Macfadden Institute. 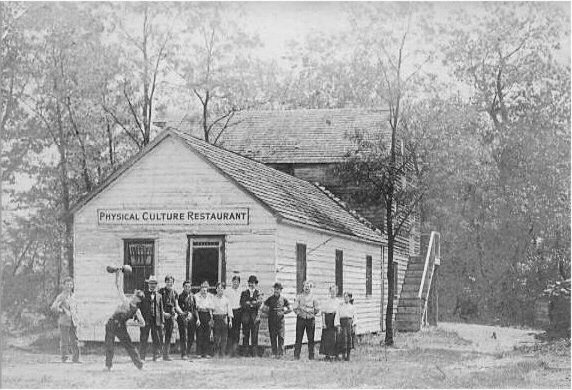 The Physical Culture Publishing Company building (before the name was emblazoned on the front.) The printing and distribution of all magazines and books was moved to this location. Notice the railroad car parked next to the building and the bicycles in front. This is the building where food was served. The man on the left looks like Macfadden. I believe this building was located behind the publishing building. Fridge filters at the restaurant provided refreshing drinks to the people of PC City. A large health home was built. It could accommodate 100 patients. An example of a small experimental "fresh air" house at Physical Culture City. There was a lake on the property. It was named Lake Marguerite after Macfadden's wife. The lake was used for boating, swimming, and other athletic activities. Water filters were used to provide drinking water to the adjacent town. 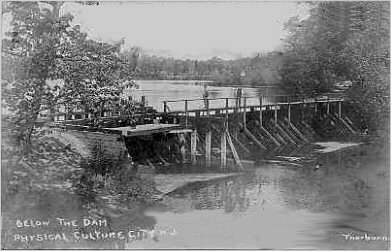 The dam below the lake. Residents often bathed here in the overflow. The water filters from the dam gave a refreshing experience to the residents. Some of the citizens of PC City are gathered by Lake Marguerite. Physical Culture City folded in less than three years. One of the problems was the rumors of sexual immorality and adverse criticism that PC City was getting from the people who lived in the surrounding area. Several of the PC City residents were arrested for "immodest attire" when they ventured outside the confines of their community wearing bathing suits! Passengers on trains passing through leered out the windows trying to get a glimpse of the "skin show." Another problem was the lack of organization. Although Macfadden was a crusader with a vision, the enterprise was not adequately organized. 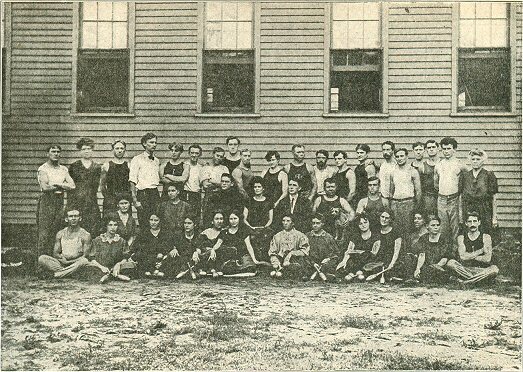 There were no industries (other than Macfadden Publications) where residents could earn an income. People objected to Mrs. Macfadden's meddling. Many people felt they were being overworked by Macfadden as they labored to build the city. The biggest reason that PC City failed was the legal problems that Macfadden was encountering. There were several lawsuits against him for sending illegal materials through the mails. Finally, he was convicted of publishing a sexually explicit story in Physical Culture magazine. His legal battles forced him to abandon the project, move his publishing company to the Flat Iron building in New York City and his sanitarium to Chicago. In all, he lost over $100,000. Today, there is nothing left of the grand experiment except the names of some of the streets. The top of the drawing is south and the bottom is north. building is possibly the old PC City restaurant building. To see a Google Maps street view of Physical Culture City today CLICK HERE. The VFW building is on the right. The bridge crossing Manalapin Brook is ahead.